Does your screen door have rips or holes that you have been meaning to repair? How to patch a screen door with new screen and spline is an easy and cost-effective way to repair your door. By inserting spline into the track that runs along the interior edge of your screen door’s frame, it’s easy to secure your new screening in place with a few easy steps. This DIY video shows how to complete the job step-by-step. 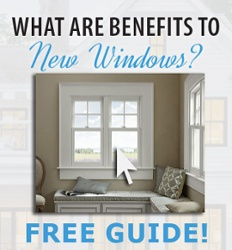 Or perhaps you’re looking to install a new screen or storm door altogether? Visit GNH’s e-showroom to browse through our selection of storm and screen doors.